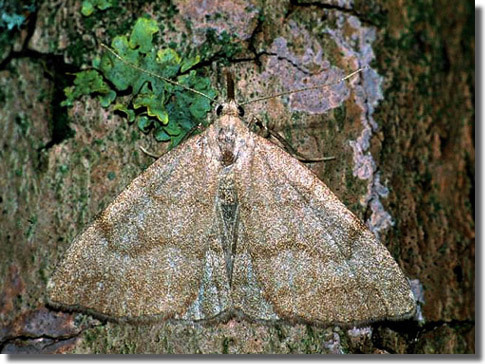 Notes: Nationally scarce (Na) in ancient deciduous woodland in parts of southern England, a priority species under the UK Biodiversity Action Plan. Still found in a few localities in its previous range which included most of England south of the Humber and parts of Wales. 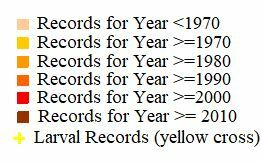 In Hampshire there has been a serious decline in recent years and until recently only found in Pamber Forest. 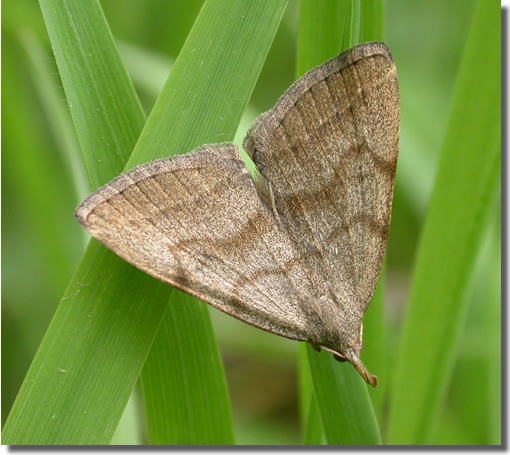 Recently discovered in another north Hampshire site and in the Test Valley near Romsey. Also known from Parkhurst Forest on the Isle of Wight. Wingspan 32-34 mm. The most likely confusion species is the rare immigrant Jubilee Fan-foot Zanclognatha lunalis, which see for differences. 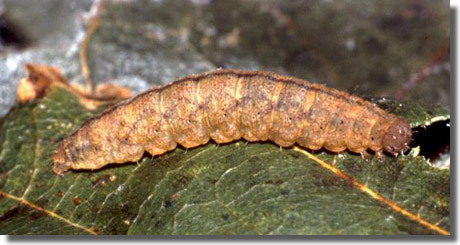 Larva feeds on Pedunculate Oak.